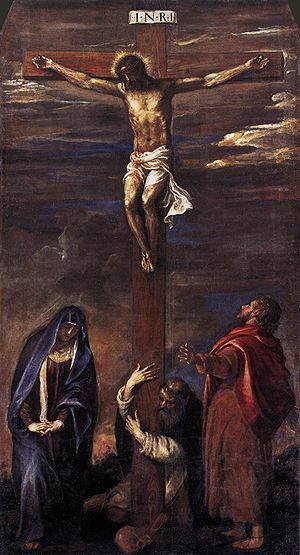 I have been increasingly concerned with this abomination: most evangelical pastors no longer regularly preach the “offensive” bloody salvation message of Christ’s Atonement on the Cross of Calvary. But we as church members are also to blame. Most church members have rarely if ever shared the gospel message of sin, judgment, Hell and salvation one on one with another individual. I myself am guilty of seldom witnessing one on one “in the highways and byways.” At the very least, I could get into the habit of leaving tracts wherever I go – yet I “just haven’t got around to it.” Lord, forgive me! I do praise the Lord that as a pastor and as a born again Christian, my father (God rest his soul) shared the gospel many times with individuals and prayed with them, as they repented of their sins and accepted Christ. I was pleased to come across a pertinent blog by Chris Hohnholz, rebuking Christians for failing to be active witnesses. Click here for the original source of this blog. I have reposted the entire blog below; I have emphasized certain points by bolding, and inserted comments in [brackets]. 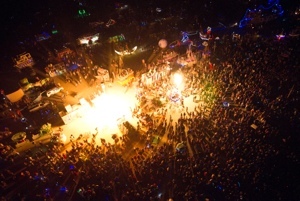 This week marks the pagan festival held in northern Nevada known as “Burning Man.” For those who may not be familiar with this local event, literally thousands of people from all around the country will descend upon the Black Rock Desert a couple hours north of Reno. They will camp out in RV’s and tents, they will bring assorted foods, music and the like. But this is no ordinary camp out. It is a festival in which every individual’s personal belief system is put on full display. Literally, from the most basic camp out to full on pagan worship, a small society of ultra post-modernity sets itself up for a full week of personal celebration and worship of whatever you choose. The event culminates in the burning of a wooden statue where everybody congregates and celebrates this most sacred event. However, it is not the debauched, pagan style celebratory worship that drives me to write this article, well, not entirely anyway. As I said, the Burning Man festival is literally the hallmark event of post modernism. Virtually every lifestyle choice and belief system is represented at this gathering. And were you to ask those attending how they felt about the competing beliefs being in all in the same place, they would tell you how wonderful it is to have such a non-judgmental environment where everyone could live as they chose without fear of being told they were wrong. 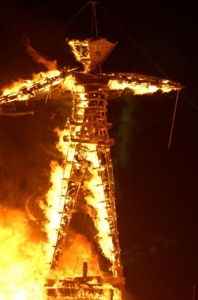 In other words, Burning Man is the utopia of post-modernism. And post-modernism IS the religion of the United States. Those who promote this religion would be overjoyed to see the Burning Man mentality exist in every corner of our society. My motivation here is not to bemoan the leftist, elitist mindset that drives post-modernism. Rather it is to challenge every single Christian with this thought: how did Burning Man become the Mecca of American “religion” while the Church is viewed as its “anti-christ?” The answer is, I believe, is this, we have faltered in Christ’s command to go forth and preach the gospel to every creature. Remember when we first understood that we were vile wretches that were at war with God through our wicked works. How we realized that in His just punishment, God would rightly send us to Hell. 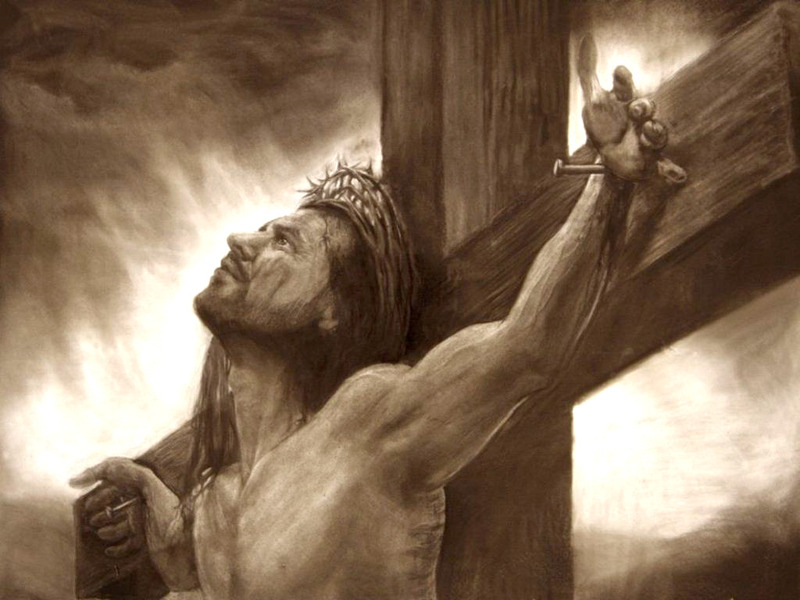 Yet God, in His mercy, pulled us from the fire and punished His Son Jesus Christ at the cross in our place! His shed blood covered our sins and His resurrection paved the path to Heaven for us. Through repentance and faith alone, both merciful gifts from our gracious Father, we received the amazing salvation that promises us eternity with Him! 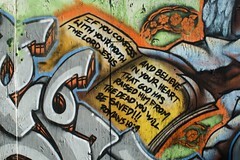 And then Christ commanded us to take the story of that salvation and to preach it to everyone we came in contact with. And what a blessing it would be to share it! To lead the lost, blind and dying to the very salvation they didn’t even know they needed! Somewhere along the way, we stopped obeying that command. Where we once would not have thought twice about sharing this glorious message with anyone, we reigned back, we slowed down and we gave in. We stopped preaching the hard truth that the law brings condemnation, that it reveals we are not good people and that we deserve Hell. We started saying “God has a wonderful plan for your life,” or we decided we would just allow people to “see Jesus in us.” In doing so, we have exchanged the amazing gospel of Christ, a gospel that should cost us everything to follow, for cheap grace and easy believism! We have become content that evangelism is a spiritual gift for only some and not a command for all. As a result, the culture has plunged head long into the morass of sin and debauchery, into false “religiosity” and personal fulfillment. All the while, we have stood by with the very words of life that can rescue these perishing masses, yet failed to heed the call of our Captain into action. It is altogether possible that, as you are reading this, you have dismissed my conclusion. If so, consider this, statistics tell us that merely 1% to 2% of professing Christians go out of their way to deliberately share the gospel with someone. That is a very telling number, even if one were to believe the polls which report the high percentages of “Christians” in the United States. In truth, it is likely many of those polled are more cultural Christians than truly bathed in the blood of Christ, born again of the Spirit believers. So that 1% to 2% gets even smaller, which means that a very scant number of truly born again Christian are out there carrying the weight of the command that the entire church is responsible to obey. With these small numbers acting as the evangelistic force for the church, is it that hard to imagine why the church holds so little influence in our culture today? Yet, there are Christians who would insist that they are very evangelistic. They would point the numbers of people they have invited to church regularly to hear the preaching of the gospel by their pastor. While it is good to bring unsaved friends and loved ones to church, we must understand, this is not evangelism. It is the abdicating of one’s personal responsibility to seek out the lost and share the life giving elixir that is the gospel. Local churches are the place where the saved come together in corporate worship. They are led by the pastor in prayer and praise. They are edified and equipped under his teaching so that they may go out and do spiritual warfare in the world. To leave our responsibility to be proclaimers of the gospel solely to the pastor changes the very nature of the church gathering from corporate worship and edification to seeker friendlyism which sacrifices the content of the word for entertainment to keep the unsaved coming. But one may point to something that is overtly evangelistic, such as their involvement in the large christian outreaches that gather untold thousands of lost and unregenerate people in one place to hear the gospel. While it is wonderful to see the efforts of so many people to brig the gospel to the world, in many cases, it is simply a repeat of bringing someone to church. Rather than going out into the world preaching the gospel, Christians invite the lost into one place where they will hear preaching by a few, or maybe even just one preacher. The energy and effort put into this gathering is all about getting the people there to hear someone else preach the message. I’m not discounting the genuine desire, and even countless hours of prayer, that Christians pour into this. But in the end, we abdicate the responsibility to someone else. And in truth, many of these events become big seeker friendly attractions where big bands, light shows and celebrity Christians attempt to woo the unsaved to making a “decision for Christ.” But when we look at the statistics, most of those people who make professions of faith never get plugged into a local church. They run around with a “Christian-buzz” for a while, but before long, they prove themselves to be rocky ground with no depth, or a plant choked out by the weeds. In other words, a false convert. One who left us, because he or she never really was of us. Or maybe those in the church really do desire to get out on the streets to interact with people. So they set up food drives, or head out to feed and clothe the homeless. They hope to show those who are in desperate situations that they are loved by the Church. A noble effort to be sure, but more often than not, it is devoid of the preaching of the gospel. Those they help may be aware of a physical, temporal love in the here and now, but they are rarely, if ever, told that they more desperately need peace with God through Jesus Christ, because their sinful deeds are causing them to be at war with Him. That’s how post modernism and events like Burning Man are the hallmark of excellence in our society, because Christians have faltered in preaching that amazing grace that saved us from the depths of Hell. I say this because if we remembered that beautiful gospel daily, how could we not go running into the streets to preach it to everyone? How could we ever claim evangelism is not our “gift” when it is a command from our Savior? How could abdicate our responsibility to preach the entirety of the gospel and give a wishy-washy “God has a wonderful plan for your life” message? I can say we have faltered because the fruit of it is as apparent as the false worshippers running to the desert grounds of northern Nevada to worship as they please with no fear of ever being told they are wrong! I am not saying that the efforts I described above should never, ever happen. If even one soul is saved because they were invited to church or an evangelistic out reach, praise God. If one person comes to Christ because he or she understood that the love of Christ compelled a Christian to reach out and help them, His name is glorified! What I am saying is that by and large, most Christians are either not engaging in the command to evangelize, or are trusting in efforts solely like these to abdicate their responsibility to do so. And because of this, more and more souls are being lost to the culture’s tolerant, post-modern ideas. Christians, we need to wake up and realize our Captain is commanding us to action! We need to repent of our sin of failing to preach the gospel and seek His forgiveness. We must equip ourselves with the word of God and bend our knees in prayer. We must go out into the highways and byways preaching the truth that salvation is in Christ alone, through repentance and faith alone! We must do so at all costs, even if it means losing relationships, positions at work, or even one day, our freedom. For lives are lost everyday to the pits of Hell! Let us be about our Father’s business, let us preach the truth and let us point people not to a “Burning Man” made of wood, but to the God Man who was and is and is to come! Let us call them to Christ alone! Click here to view many excellent comments following the above blog which I have reposted.